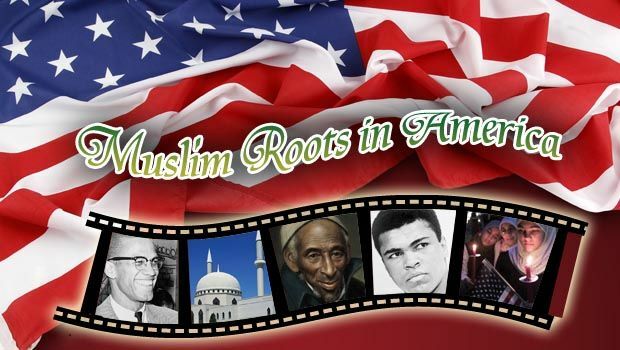 Islam and Muslims have been part of American history for centuries, but most people are unaware of this fact. They think Islam in the United States is a relatively recent phenomenon and, hence, alien and un-American. In reality, there is a centuries-long recorded history of a Muslim presence in America, and Muslim Americans have contributed much to the nation they call home, as noted by President Barrack Obama: “They have fought in our wars, they have served in our government, they have stood for civil rights, they have started businesses, they have taught at our universities, they’ve excelled in our sports arenas, they’ve won Nobel Prizes, built our tallest building, and lit the Olympic Torch.” This record of contribution and service is extensive, but Islamophobes, sadly, overlook or conceal this fact. Far from being a foreign presence, Muslims have exerted a positive influence on American culture even greater than their numbers would suggest from the very beginning. Their aim, by any and all means, is to rip out the interlaced thread of Muslim historical and contemporary presence from the American tapestry. But do they not realize that tearing out one thread can unravel the whole? Still they want to ostracize Muslim Americans, to blame the Muslim community collectively for any extremist act anywhere on the globe by any individual(s) who purport to represent the Muslim faith. Yet we hear little about Christian terror groups around the world like The Army of God and The Concerned Christians in the U.S., Eastern Lightening in China, and The Lord’s Resistance Army operating in various countries in Africa, all of which are actively carrying out terror attacks in the name of Christianity. It’s truly unfortunate that whenever a Muslim commits an act of terror, the media lets stand, and even exacerbates, the false notion that Muslim extremism is a unique phenomenon. Then we hear Donald Trump call for profiling and increased surveillance on Muslim communities, and a total ban on Muslim immigration to the U.S. Thankfully, political leaders from both parties have either denounced or distanced themselves from Trump’s Islamophobic remarks. As we see, Islam and Muslims are not a new or foreign presence in this country. Muslims’ love for, and attachment to, America is no less than that of any other community or faith group. To quote Dr. Parramore once more: “Muslims wish to be seen as Americans, and a look at America’s Islamic roots proves that they have every right to be – even more, perhaps, than those who rail against them. It’s time to clarify the confusion about the role of Islam in early America and remind ourselves that far from being a foreign presence, Muslims have exerted an influence on American culture even greater than their numbers would suggest from the very beginning. The real foreign presence is Islamophobia, which is completely at odds with America’s founding principles.” We hope that all Americans will get the memo that Muslims, as in the past, are contributing to and serving the American ideal, and will continue to do so, eager to enhance the common good and help fulfill America’s greatest potential.